Let us imagine that we have The Devil Tarot card as Card 1. This would tell us that the client should learn much about facing their fears by taking a positive choice and so not staying dependent on what they have now, that they are trapped by their fears and need to move on. If we had The Devil card as Card 2 in the Tarot spread however, it would be telling our client that great fear would be induced if they went forward with their choice, that they would be making the decision based on false impressions and that in fact they may have become a little obsessed with the subject and need to let go. This illustrates the two sides of a Tarot card; remember that both are always there, in what we could call the energy of the card. This Tarot card is certainly one you would be pleased to see turn up in your Tarot spread. Its interpretation is usually that it indicates a time of peace, of acceptance, harmony and understanding, of feeling balanced and contented within and of kindness. 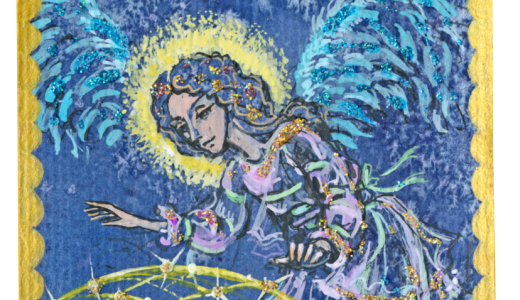 Certainly these are the things you would predict as an outcome if this card appeared as Card 1 of our Diamond Spread. 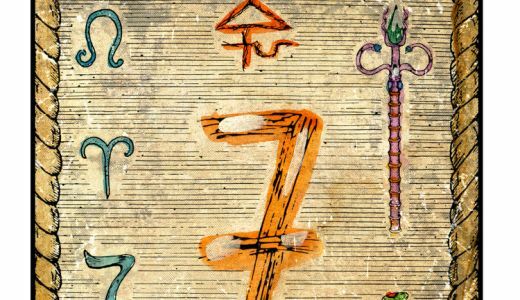 However if it turned up as Card 2, it would show us that a lack of interest and a dull passivity and unmotivated acceptance would be the outcome, the client would take an attitude of ‘whatever will be’ and just comply with others wishes regardless of their own needs and motives. In effect they would become something of a victim and give their power away. This placing shows the ‘flip’ side to this card so we can see again that both positive and negative poles are present in every card, wherever it may be in a Tarot spread. 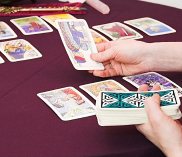 The so-called positive and negative sides of each Tarot card can also be seen in which way up the card faces when you deal them out. 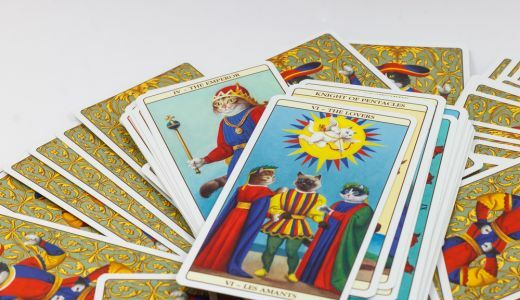 Most books on the Tarot give you two meanings for each card, one for the card being dealt the right way up and one for it being dealt upside down, or ‘reversed’. Once you have shuffled your cards the traditional way of dealing them out is to turn them over sideways, not end on end so you keep which way up the card is facing.